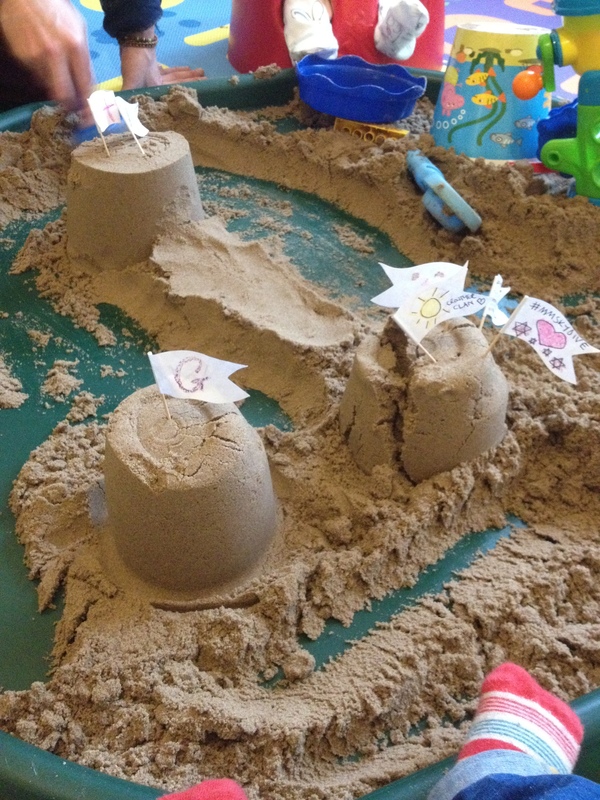 This week I decided today’s messy play would involve sand. 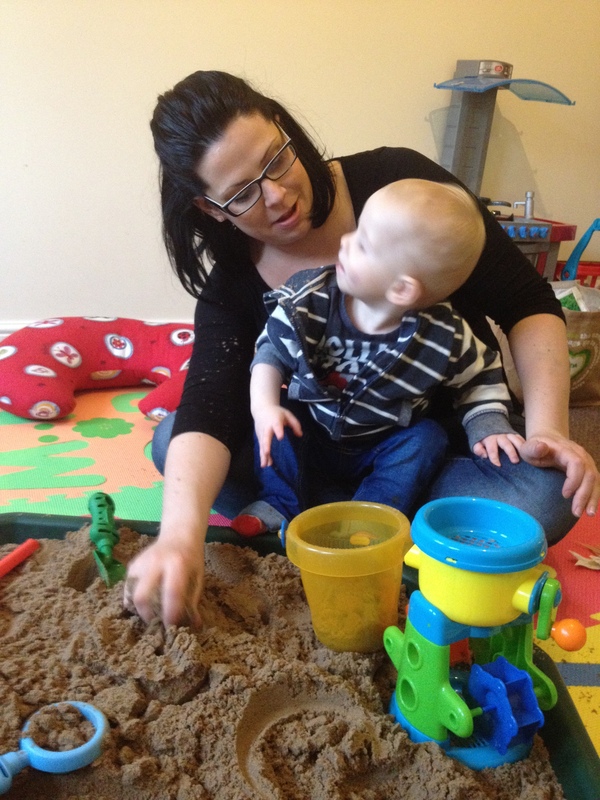 I have to admit I was nervous about Gabriel playing with sand at home, because at nursery he’s been known to eat it and thow it about. I knew it was going to a challenge today. I hate mess! 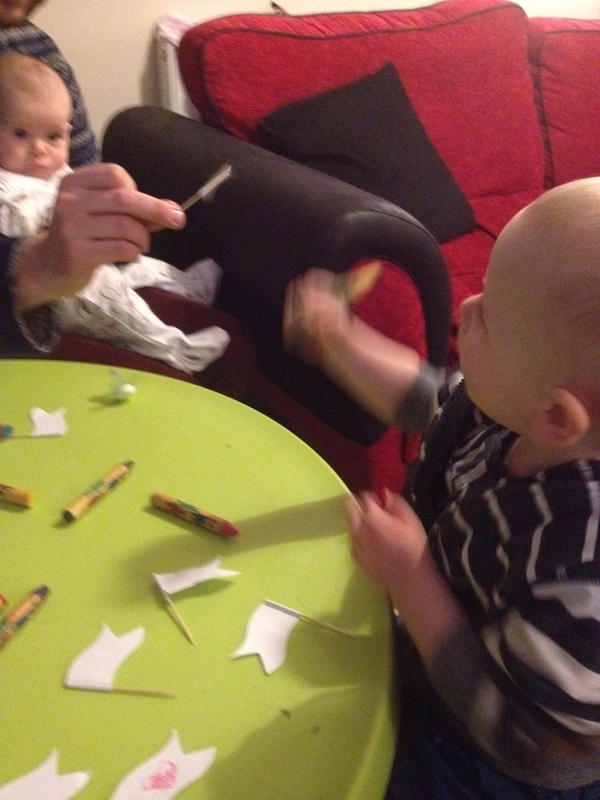 Today’s messy play is definitely going against the grain! 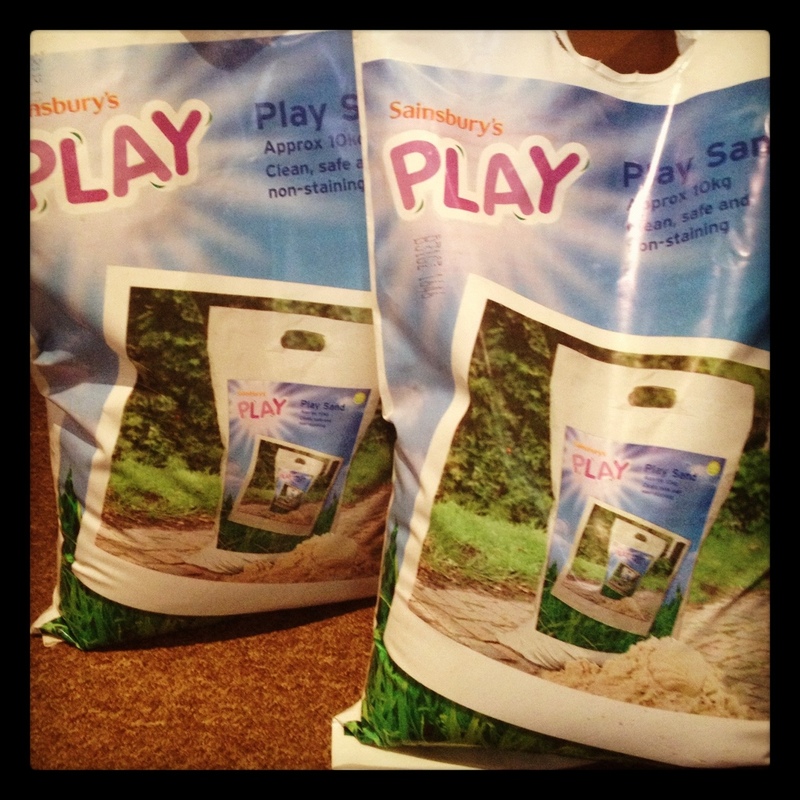 I bought some bags of sand this week whilst out shopping. They were so heavy! 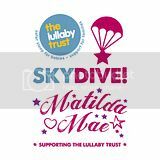 The cashier asked me what I was doing with all the sand, and I proudly told me that we were taking part in special project in memory of a very special baby girl, Matilda Mae. I could hardly carry the sand bags, they were so heavy! 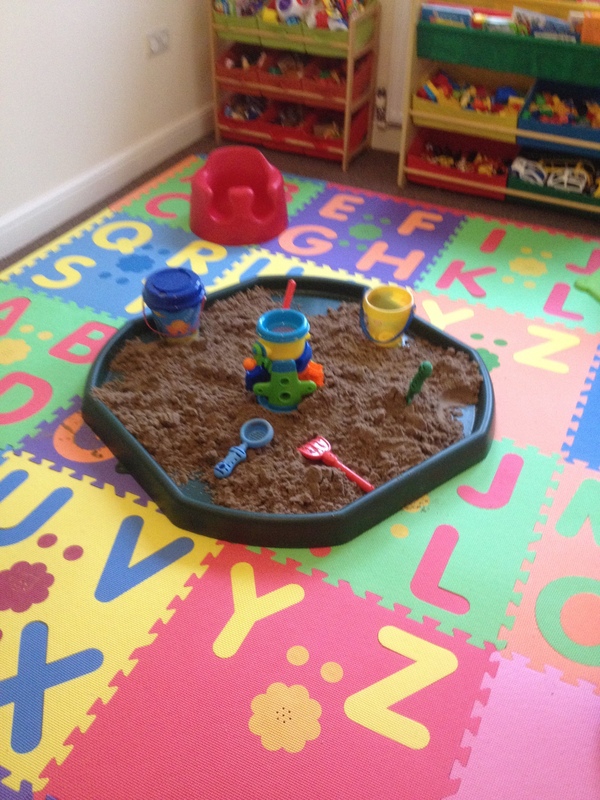 After a morning trip to the park, I set about preparing the tuff spot for the sand play. I’d also bought some sand toys for us to use, including a sieve, two buckets, lots of different ‘sand tools’. 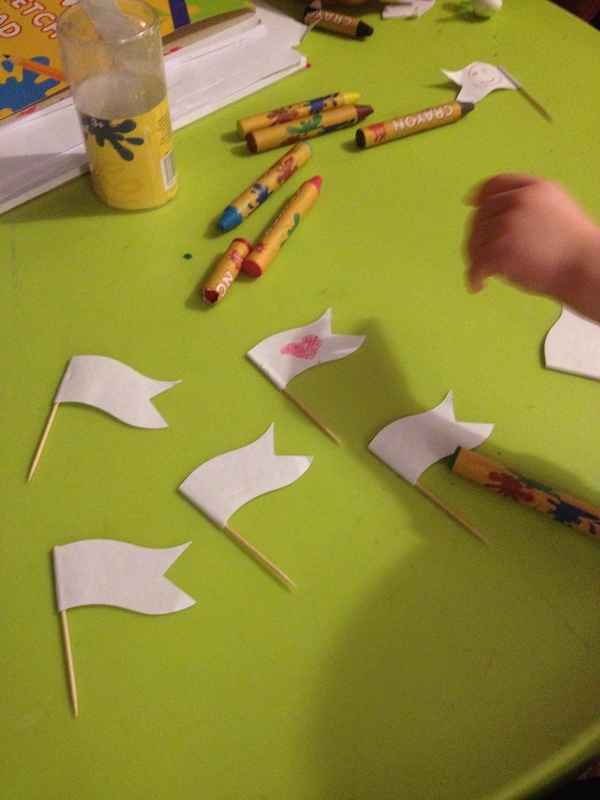 Before we began playing with the sand, I thought it would be a nice idea to make some flags for our sand castles! 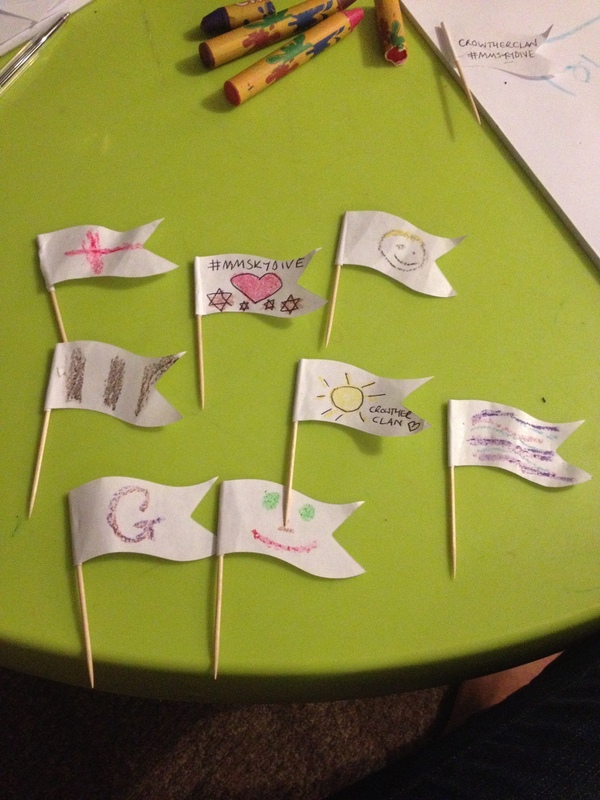 We sat at our table and coloured lots of flags. As you can see, I could not resist making some personalised ones for Crowtherclan and Matilda Mae. Daddy made a Grimsby Town flag (his football team). We also made a Union Jack, a St George’s Cross, some smiley faces, some hearts and also some lovely colourful flags by Gabriel. 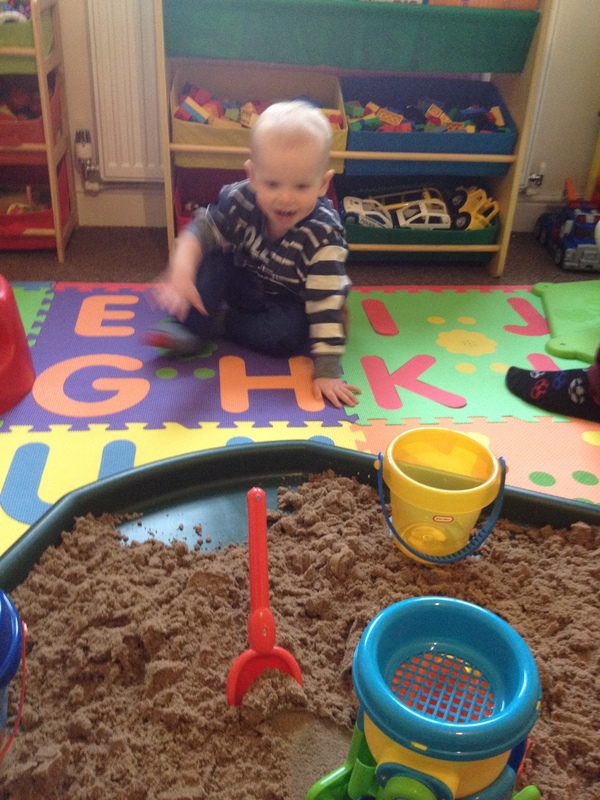 Next we went into the playroom and began playing with the sand! First we focussed on how the sand felt! 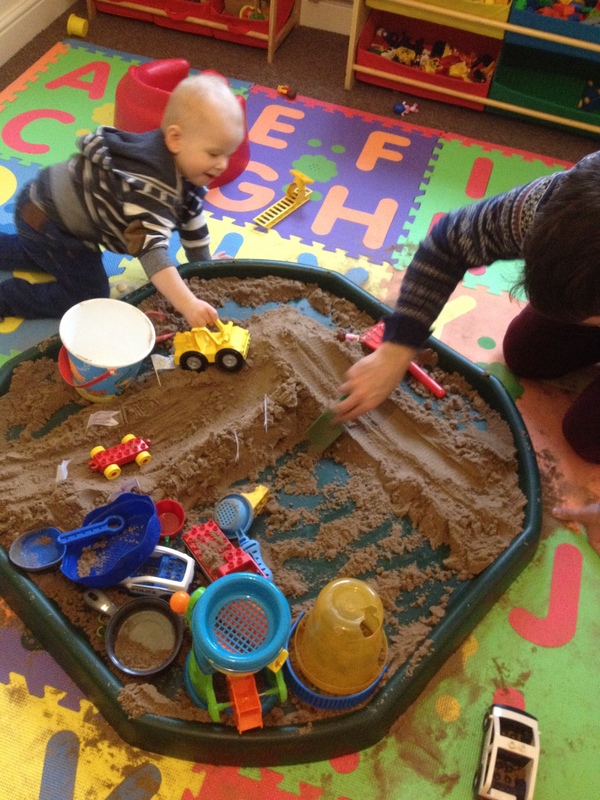 We ran the sand through our hands and fingers, Gabriel copied us giggling away! 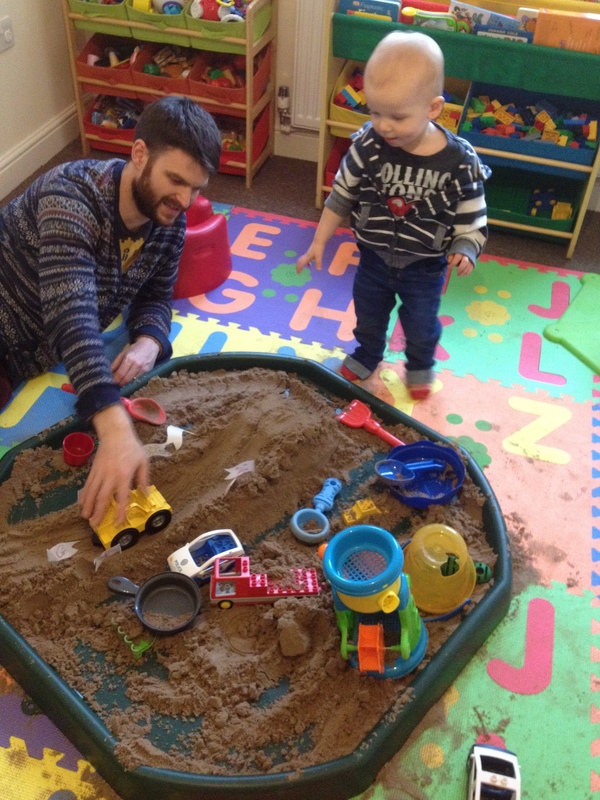 Then we attempted to build some sand castles, Daddy and I showed Gabriel how to fill his bucket up with sand then tip it over, tap it then release! Gabriel loved the part when we released the bucket. 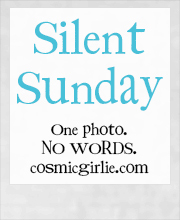 He clapped his hands with delight. It was like he thought it was magic, so lovely! 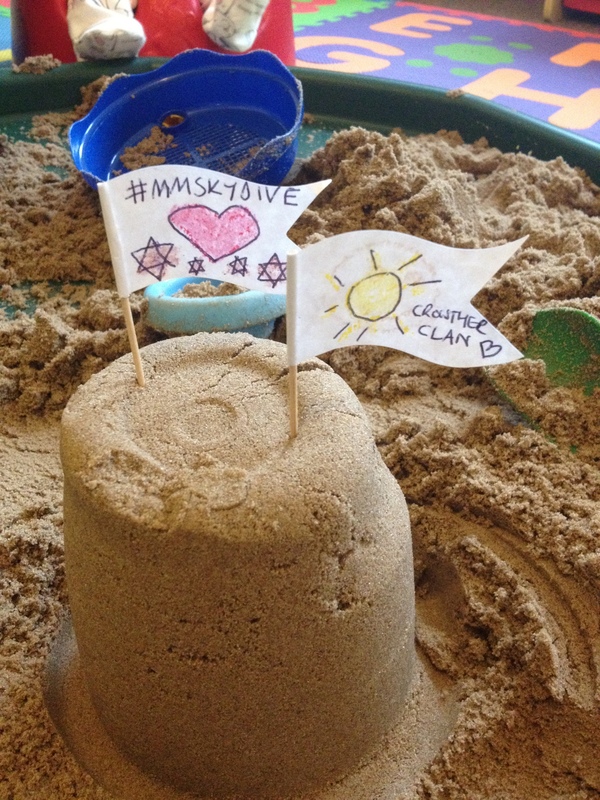 I then took the flags we had made and placed some on the sand castles. Gabriel helped me by placing the rest all over the next few that Daddy made. He loved gliding his cars though the sand and watched the patterns that they made with their differing tyres. Daddy made a sand ‘bridge’ between the sand castles so the cars could pass between them. 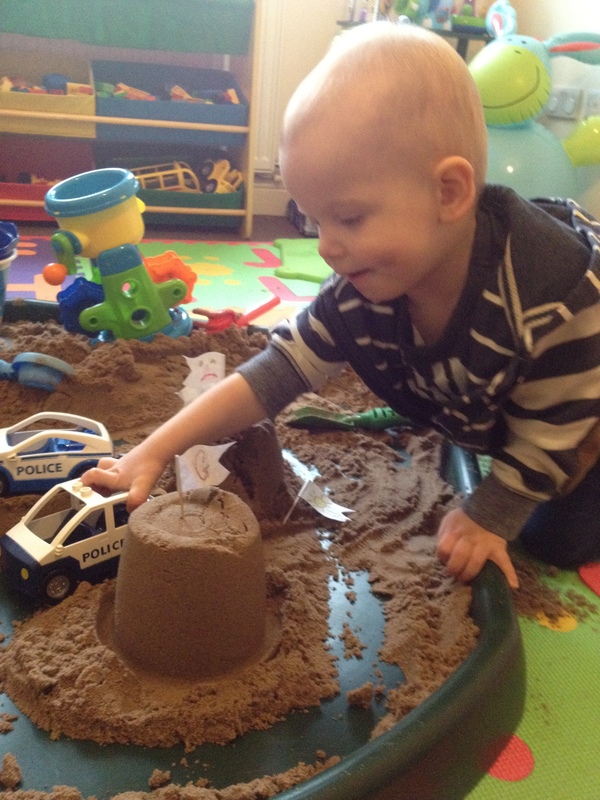 Gabriel loved it, and placed his Police cars on it as quickly as he could! 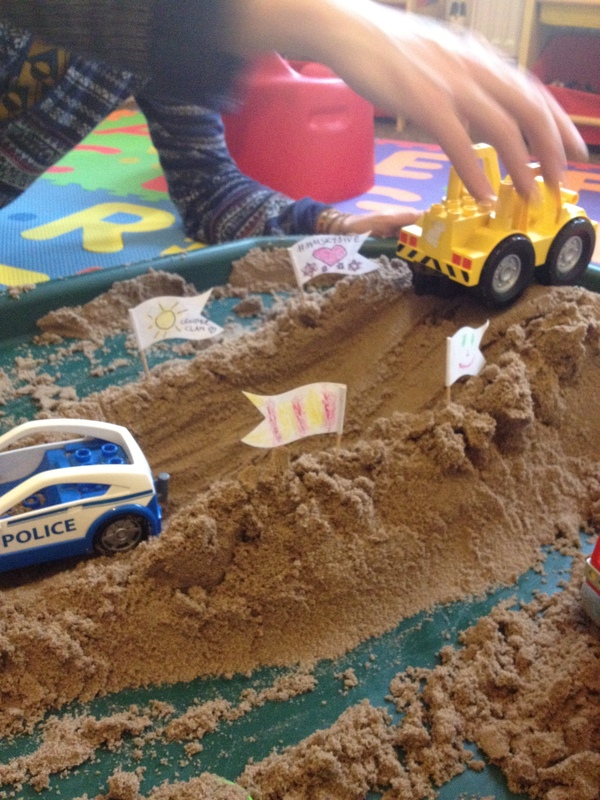 After a small incident regarding the trampling and demolishing of the sand castles by a certain toddler, we then decided to make a huge ramp for all the vehicles that were now in the tuff spot! Daddy set about making the ramp, whilst Gabriel set about throwing sand at his Sister while she innocently sat in her Bumbo! Once built we added out flags to the sides of the ramp, then we had great fun driving the different vehicles to the top of the ramp and, after shouting ‘ready steady go!’ letting go and watching them go down the ramp! Gabriel has a slight obsession with slides at the moment, so he especially loved this part of the play! 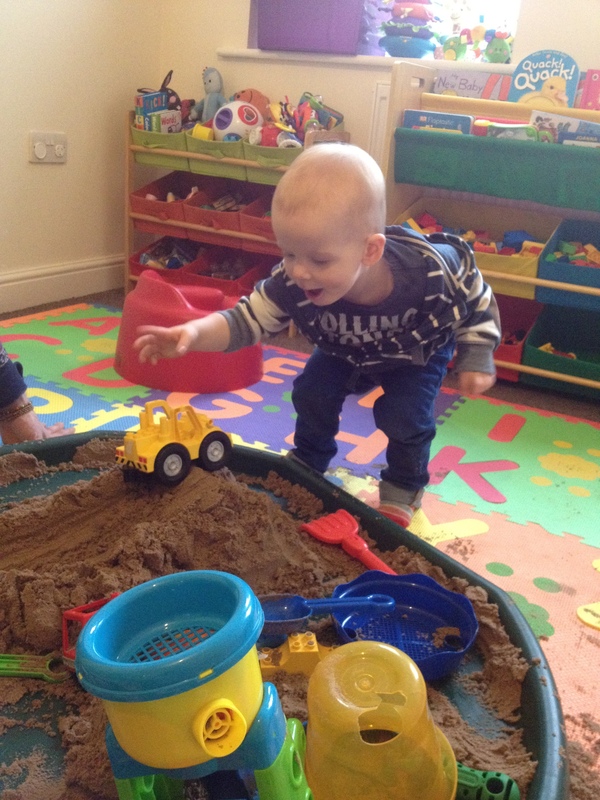 We had a good hour or so playing with the sand, it was a quick and relatively easy messy play but we all enjoyed it! 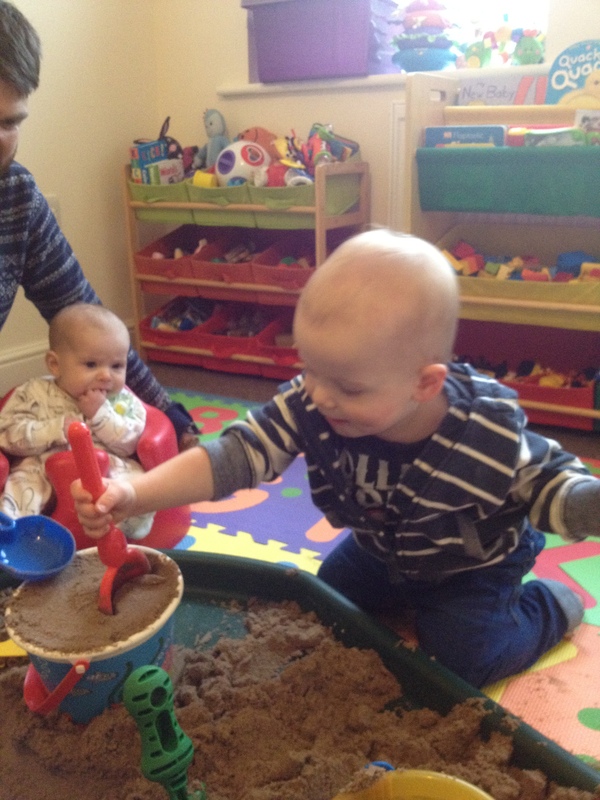 I think the sand play was great to see Gabriel’s creativity and it was really interesting to see him exploring the texture of the sand, sieving it through his hands and combing it with his fingers. 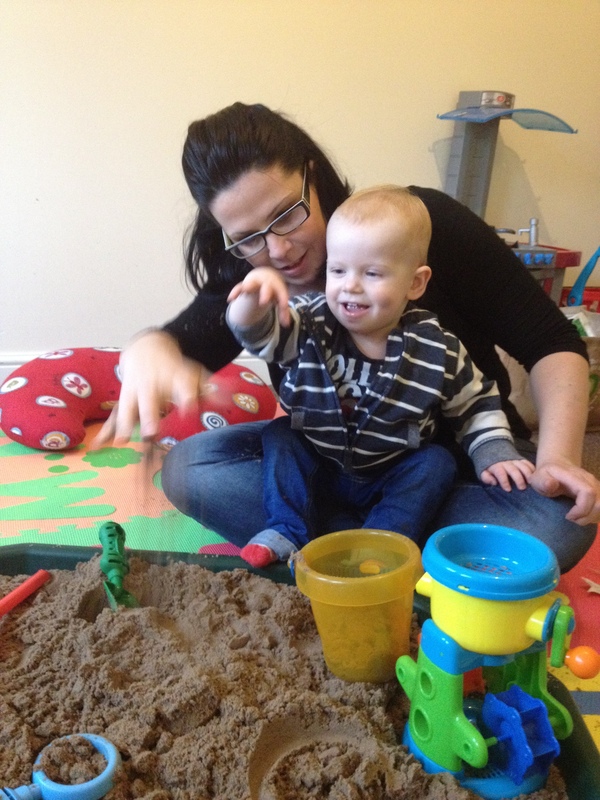 I think we all found the sand play relaxing too, which of course during hectic weekends is an absolute bonus! 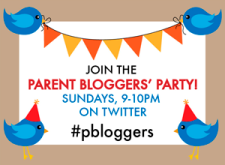 For someone who claims not to like messy play, you do very well! We had sand indoors at Luka’s 3rd birthday party and all the kids were really unsure at first. Its not the norm to bring it inside at home I guess, so well done!